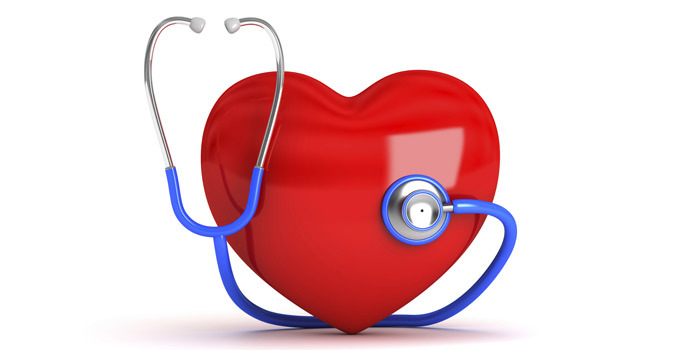 Heart disease refers to narrow or blocked blood vessels which can lead to a heart attack, chest pain, or stroke. There are various types of conditions which can affect the heart’s ability to function properly. These types of conditions include coronary artery heart disease, valvular heart disease, cardiomyopathy, heart rhythm disturbances, and heart infections causing structural problems in the heart. Coronary artery disease is the most common type of heart disease. Classic signs and symptoms of heart disease, specifically for coronary heart disease, include chest pain, shortness of breath, sweating, nausea, and an irregular heartbeat. Some individuals may experience chest pain, while others may experience indigestion. Symptoms caused by an abnormal heartbeat include fluttering in the chest, a racing or slow heartbeat, chest pain, shortness of breath, light-headedness, dizziness, and fainting. Symptoms caused by having a weak heart muscle include breathlessness, swelling of the legs, fatigue, and irregular heartbeats which can be rapid, pounding, or fluttering. It is important to see a doctor if you are experiencing chest pain, shortness of breath, or fainting. Heart disease is much easier to treat when detected early which is why you must consult your doctor immediately in order to detect heart disease. To treat a coronary heart disease, it is important to alter one’s lifestyle by improving their eating habits, being physically active and quitting smoking. Diet must be changed by reducing one’s fat, salt, sugar, and cholesterol intake. It is also important to manage high blood pressure and high cholesterol. Those with diabetes are at a greater risk of suffering from heart disease. It is also important to manage stress levels as stress can damage the arteries and put an individual at risk for developing heart disease. Heart disease can affect an individual in a variety of different ways. For example, it may cause an individual to experience fatigue and difficulty breathing. In this case, this would likely restrict one’s mobility which would qualify under the disability section entitled walking impairment. To be eligible for this an individual must take an inordinate amount of time to walk even with appropriate therapy, medication, and devices. For example, these devises include canes and walkers. How To Apply for Disability Tax Credit for Heart Disease? To apply, our experts will assist you in filling out form T2201 where you will need to get your medical practitioner to complete this form. This will ask your doctor to describe how you are impaired by your disability. It is important to be descriptive in this section as a patient can be affected in a variety of ways by Heart Disease.